As you know from my previous articles, Venice didn’t really give me a good first impression when I visited in 2012. Granted, the fact that it was Easter and it was raining 80% of the time probably didn’t help Venice’s case so you can understand how surprised I was when I visited Venice again last week during low season and actually started to slowly fall in love with this unique city. This is the story of the day I ended up falling in love with Venice. Yes, Venice. 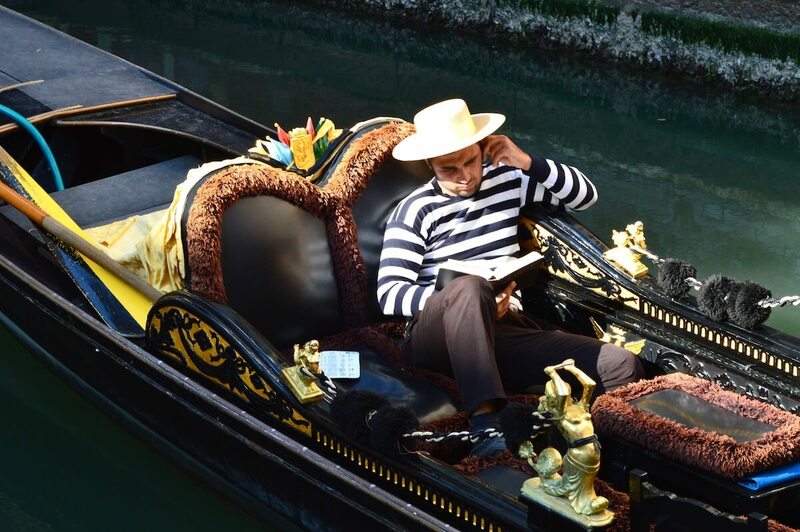 Are you ready to explore the Grand Canal with me? High season in Venice starts in May and ends in September, plus special dates such as Carnival (February), New Year’s Eve and Easter. 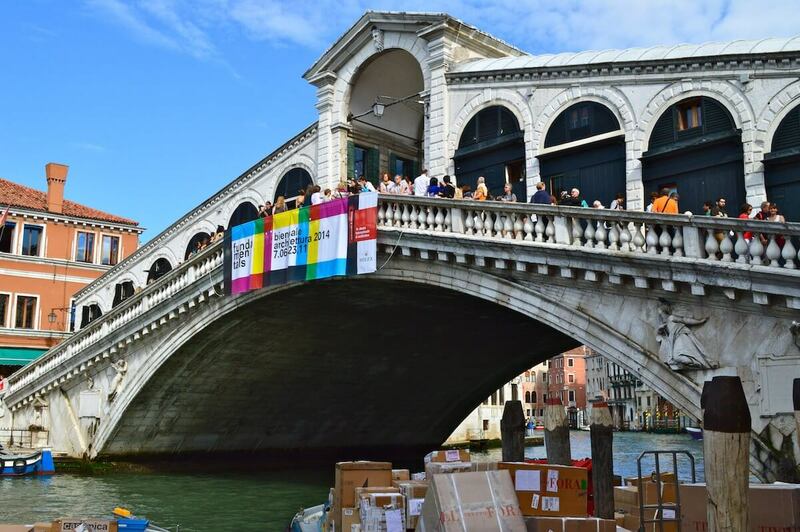 During other dates, the city still sees a small influx of foreign visitors but they are mostly confined to the areas of Rialto Bridge, Saint Mark Square and the Academia bridge, leaving the rest of the city empty. 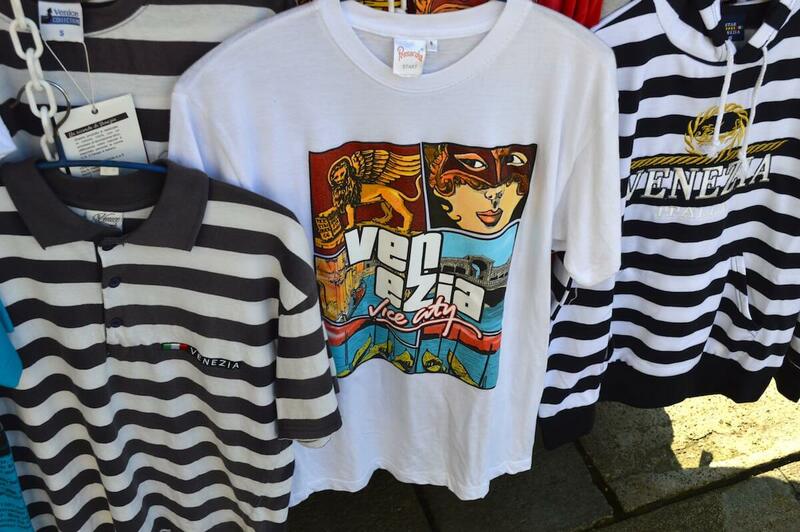 I didn’t even buy souvenirs last time I was in Venice! Plus, if we consider the fact that most visitors to Venice are day trippers that arrive from other cities or by cruise ships, you will find that Venice during the night is going to be very empty, giving it a romantic vibe that you simply won’t be able to resist. Yes, Paris might be considered by many as the city of love but Venice? Venice is the city of romance. And there’s nothing as romantic as strolling through the bridges of the old city center. I arrived from Venice late at night after taking a direct flight from Istanbul and I was instantly hooked as when I saw the sunset from the window of the vaporetto (water taxi) that took me to the city center. From there, my accommodation, the San Samuela Hotel was only a few steps away from the vaporetto stop. Being really hungry, the first I did after checking in was trying (and failing) to find a grocery and I actually ended up getting lost in the maze of the canals. Are you going to be a mask on the wall or will you be your own person? The best thing about getting lost in a city such as Venice? The many hidden gems you will find here, such as the Museum of Music that played Vivaldi in the middle of the night plus gondola riders that have just finished their shifts and are ready to go home with their families. Even Saint Mark’s Square was completely empty at night, which gave it an otherworldly vibe to it as I felt transported back to the time of the Old Republic of Venice. 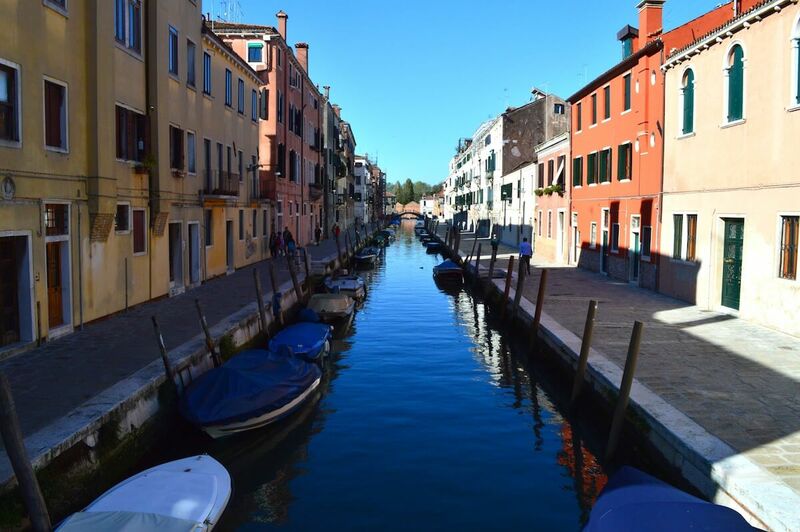 Venice is relatively small (at least compared to Rome and Paris) that you can fully explore all of it in a couple of days (although I strongly suggest you to stay at least three days in Venice in order to take a daytrip to the islands of Murano and Burano). 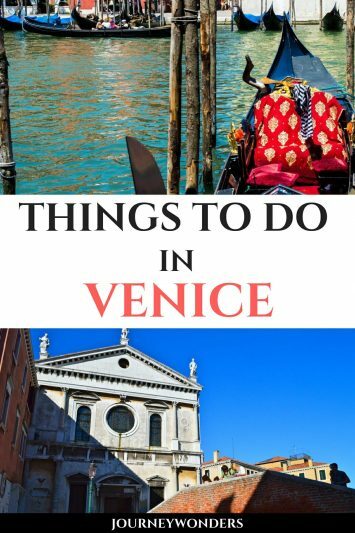 The three main areas of Venice are Saint Mark’s Square, Rialto Bridge and the Academia which is why you should avoid them if you want to buy reasonably priced souvenirs or hire a Gondola ride. 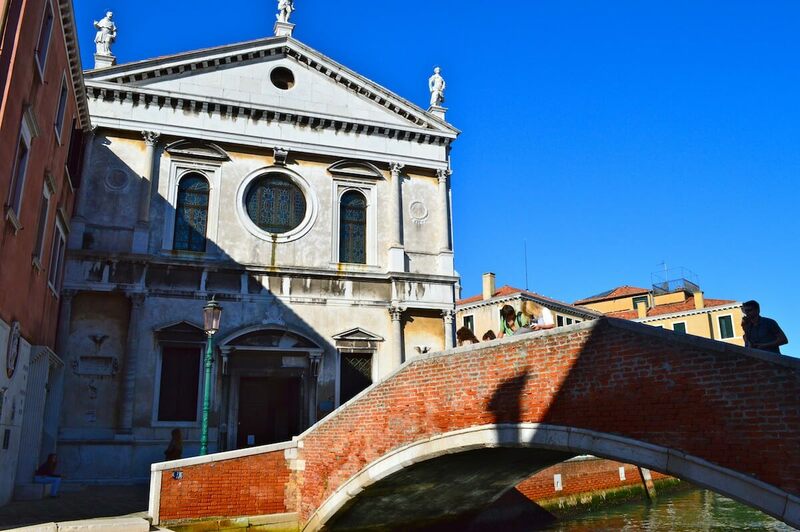 There are 431 bridges in Venice as of 2014 so be prepared to cross at least 50 of them daily. There’s an inside joke among Venetians that says that they don’t need to diet since they burn so many calories each day just by crossing bridges and walking since cars are not allowed inside the old city center. 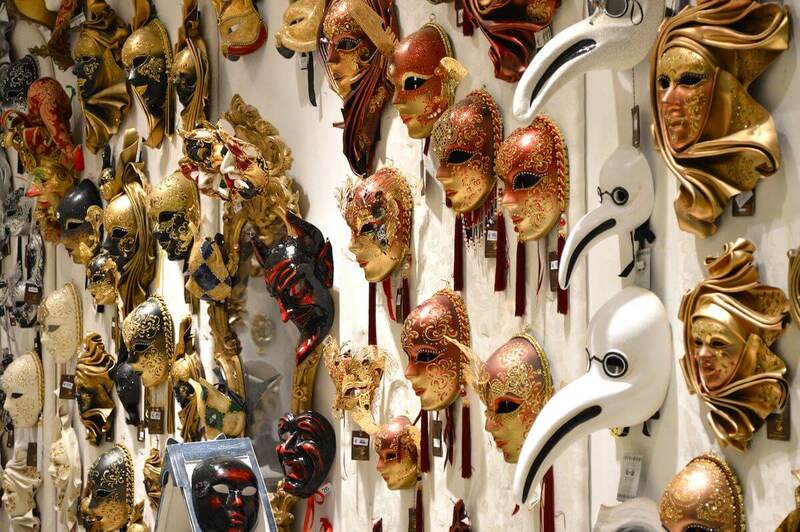 A Venetian mask starts at 5 euros and can cost you as much as 1000 depending on the material and the quality. Be sure to always bargain the price down! One of the most common misconceptions about Venice is that it’s a very expensive city (check out how much a trip to Italy costs here!) and while this is true for locals since they have to pay higher taxes and housing is basically a luxury, for travelers Venice could actually end up being very cheap if they avoid eating out in the main three touristy areas. A pizza slice should cost you about 2 euros while a full pasta meal should be about 7 euros. Of course, it’s better to buy groceries at the supermarket and make your own home made Italian dinner. The only expensive part about Venice is water related transportation since a single way vaporetto ride costs 7 euros, a run down gondola crossing costs 2 euros (and lasts 2 minutes) while a romantic gondola ride with music starts at 80 euros for one hour. Going from Venice to the airport? 15 euros for a shared water taxi. My best advice? Use those two awesome legs of yours and walk. It’s healthier anyways. For my stay at Venice, I was invited to sleep at the Albergo San Samuele, located 10 minutes away from both St. Mark’s Square and Rialto Bridge. The hotel is a big antique building that has some very good views of the old city of Venice. The best part? 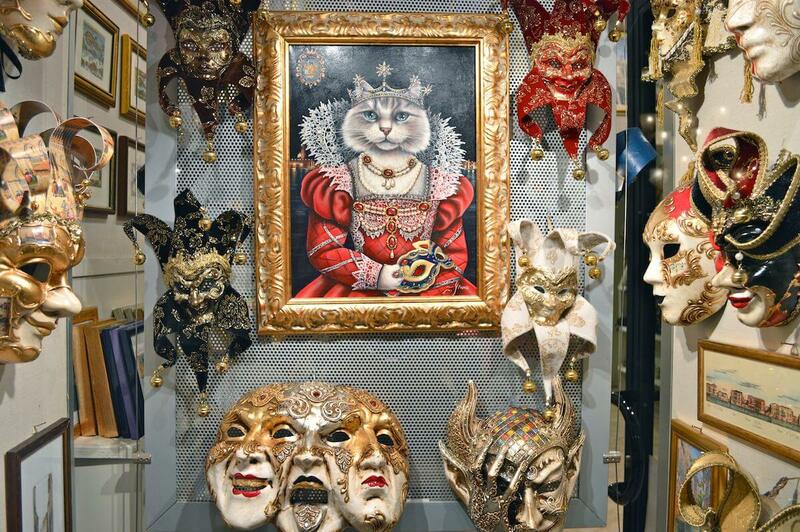 The hotel has an extensive collection of Venetian masks that adorn the rooms and the lobby. And yes, you can actually ask permission to borrow one and take some amazing photos in Venice even if it’s not carnival season. 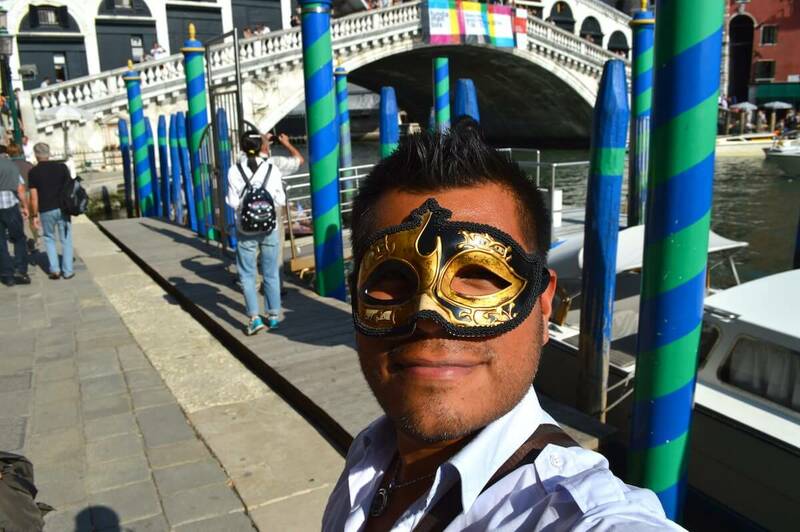 Here’s the complete story about what happened the day I wore a Venetian mask in public. They are absolutely amazing, right? 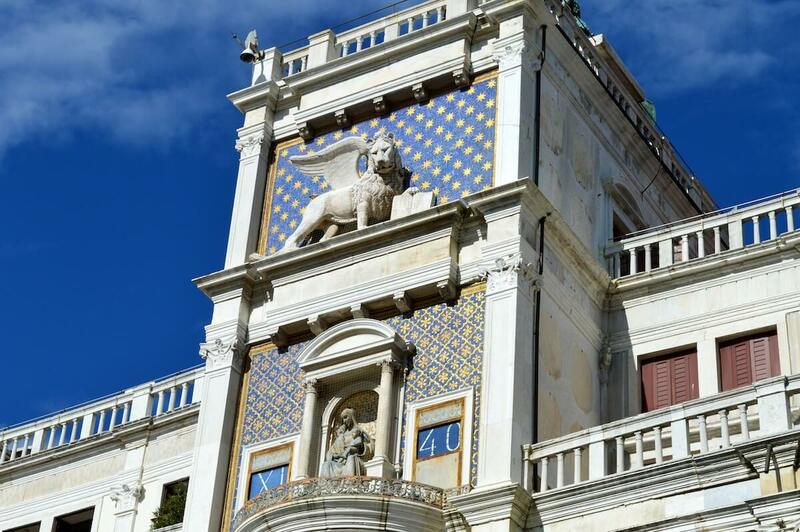 Your number one enemy in Venice are going to be the queus for some of its most impressive attractions such as St. Mark’s Basilica (no entrance fee), the Bell Tower of St. Mark (8 euros entrance fee) and the Doge’s Palace (15 euros entrance fee). My best advice? 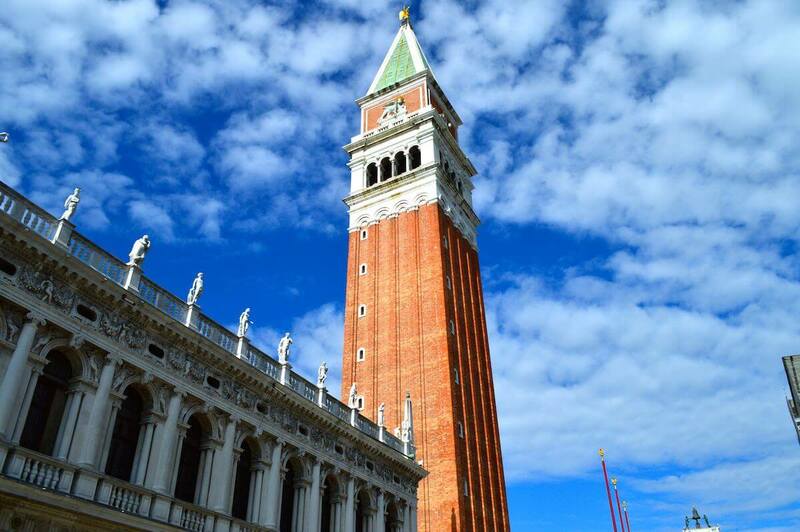 Arrive as early as possible for Doge’s Palace and the Bell Tower in order to have the place for yourself. 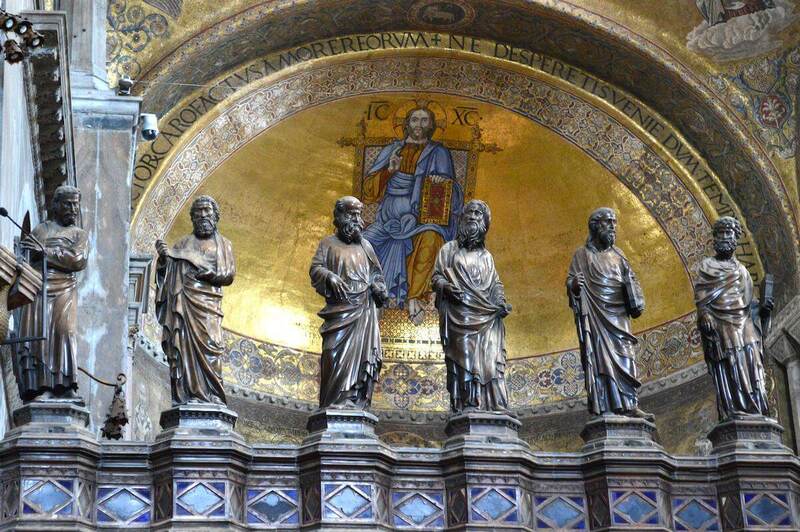 St. Mark’s Basilica is a tricky one since opening hours always change depending on religious celebration. Luckily there are two different entrances, one to the church itself and one to the museum located on top (price 5 euros) from which you can see the original horses of St. Mark and enjoy views of the square. The queue for the museum is always empty so I suggest you to use that one and go to the church itself directly from the museum’s exit so you don’t have to do the long queue (or you can always use the museum queue to enter the church without going to the museum first but don’t tell anyone that I told you that secret). Have you ever been to Venice? Would you like to? Share your thoughts and let me know what you think! I went in high season and while I loved it, I’d love to visit in the low season even more I think! I loved venice when I went, but did go during peak season over Easter so there were a LOT of people and high volume of crowds! Would love to get back to truly experience it at it’s best when everything settles down! I’m in the process of writing a post about how I love Venice despite something that happened to me there. I think the positives outweigh the negatives, and I can’t wait to visit in the off season! Thank you for the overview of Venice! We’ll be there at the very beginning of May, so hopefully there won’t be TOO many people…but if there are, we’ll make the best of the situation! Plus, there will be less people at night, like you said. I love that mask on you, hahaa!!! Looks like you had a great time there. You got some lovely weather and stayed in a nice hotel, plus Venice without tourists is a rarity indeed. Great pics! I’ve never been a big fan of Venice. As I went in the high season, it was way too crowded and even more way too hot. I would love to explore again but indeed in low season, when the herds of tourists have gone and you can actually walk somewhere without bumping into another person… a great idea for the fall for sure! I went to Venice for the first time this past summer, and I loved it– crowds and all. I do think it could be even more magical during the low season though! We plan on visiting Venice in December this year so I guess heading there again in low season is probably a good idea so that we can avoid the masses of tourists that frequently spoil cities around the world! But I guess you have to deal with them and realize that it is to be expected. We have visited Venice at July, it was very hot and very crowded. But getting lost in the streets early in the morning, while no one was around was great. I was looking for some tips for my incoming trip to Venice and I found this. Thanks for sharing, I’ll definitely check this out!